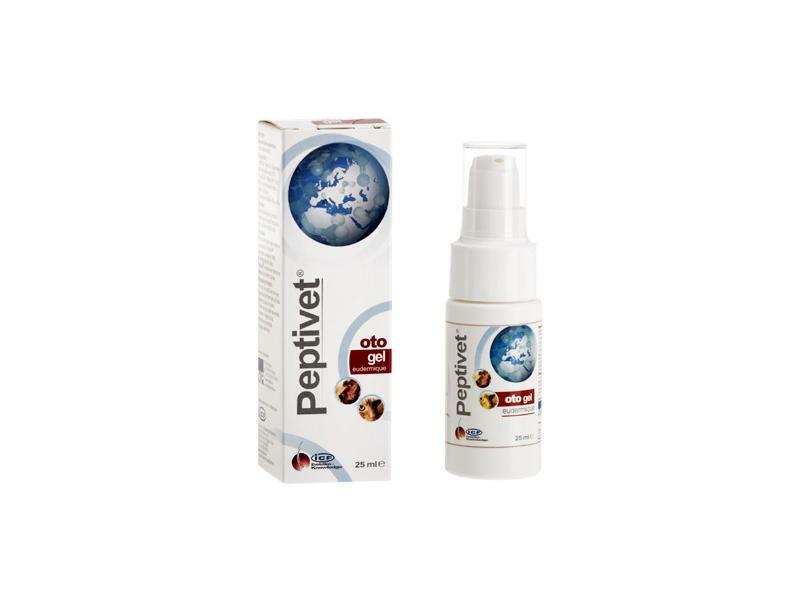 Peptivet Oto Gel contains the patented peptide AMP2041, a new innovation in veterinary topicals, which has been specifically developed to help veterinary practices manage their dermatology cases responsibly. Peptides are short chains of amino acids. Amino acids are the basic building blocks of proteins and many other different types of organic molecules. The digestion of proteins in the body frequently creates peptides and the bloodstream readily and rapidly absorbs many types of peptides. For this reason, peptides are particularly effective as skin care ingredients. AMP2041 (peptide) is an innovative patented, synthesized antibacterial peptide, which works by disturbing and perforating the bacterial cell membrane. Chlorhexidine DiGluconate ( 0.07% ) has an antibacterial and antifungal action which is not inactivated by pus or organic material. Chlorhexidine works synergistically with the other ingredients, enabling very low levels to be used. TrisEDTA enhances the permeability of the bacterial membrane and potentiates chlorhexidine and other antibacterial agents. Vitamin PP (Niacinamide- also known as Vitamin B3 or niacin); Zinc PCA and Glycerophosphoinositol Lysine work together to reduce redness, soothe irritation and provide moisturisation to the ear. 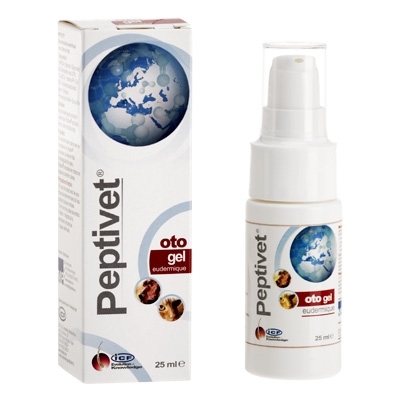 Peptivet Oto Gel helps to improve the physiological state of the skin, counteract irritation and helps restore the skin barrier. 1 pump = 0.5ml which means that it is well tolerated and easy for the client to apply. Ensure the tympanic membrane is intact before use. There are currently no questions for Peptivet Oto Gel - be the first to ask one!